HAMBURG, GERMANY - MAY 07: Freight ships in Hamburg container harbour. 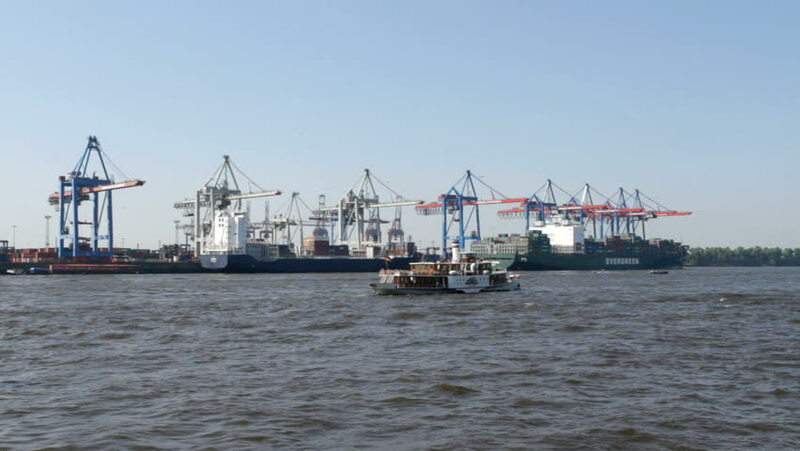 Hamburg is Europe's second largest harbour for containers and other freight. hd00:28Kaohsiung, Taiwan-24 April, 2015: A Tug boat is carrying out maneuvers with a container ship in the Port of Kaohsiung, the largest harbor in Taiwan. hd00:14San Juan, Puerto Rico - January 31, 2016: Container cargo ship vessel freighter ULYSSES approaching commercial docks. hd00:30FERMENT, AUSTRALIA - SEPTEMBER 2014: Looking across the water at the mouth of the Swan River towards Fremantle Port in Western Australia, with a Rottnest ferry and other boats passing by..